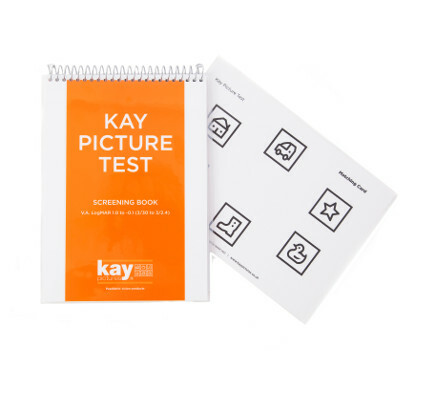 The Kay Letter Test is a linear letter acuity test comprising eight Sloan letters that are recommended British and US Standard test letters. It contains comprehensive LogMAR sizing at three metres from sizes 1.00 to -0.10, plus near testing with LogMAR letters and high frequency words. Snellen equivalent sizes in metres and feet are also given. All pages can be wiped clean, in compliance with infection control guidelines. The covers are encapsulated with robust plastic and internal pages are matt laminated. Full instructions are printed on the inside cover. The book measures 26cm x 17.5cm. The system uses a Crowded LogMAR test and fully complies with the recommendations for School-Entry vision screening prescribed by the UK National Screening Committee and Public Health England. 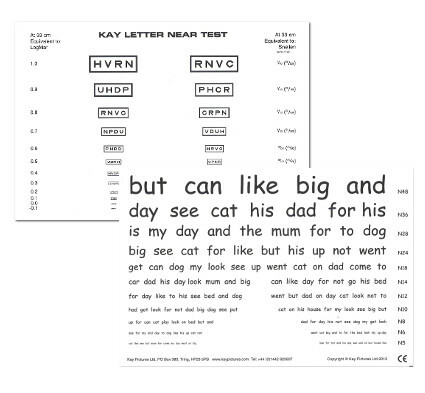 An unpublished study, carried out as part of an MMed Sci (vision and strabismus) at the University of Sheffield, comparing the Keeler letter test with the Kay Letter Test found no significant difference between the test results. 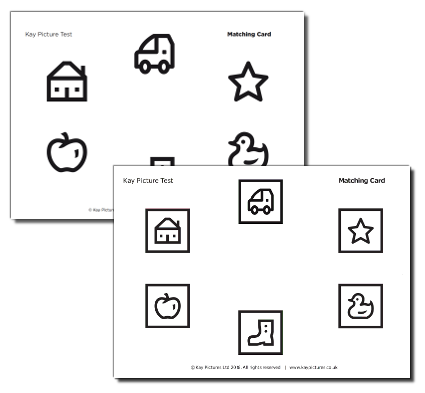 You may also like our Near Test Cards which are available as both letter and picture near test cards.